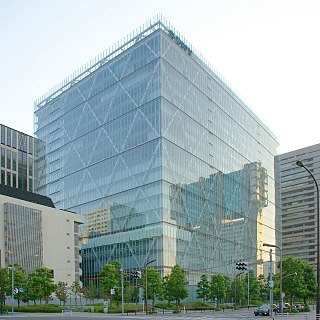 CBS Laboratories or CBS Labs was the technology research and development organization of CBS. Innovations developed at the labs included many groundbreaking broadcast, industrial, and consumer technologies. Although CBS did broadcast in color with the Goldmark system in 1950–1951, the "compatible color" technology developed for RCA and NBC (by a team led by Richard Kell, George H. Brown and others) was compatible with existing black and white TVs. Goldmark and others have pointed out that the CBS color wheel system did provide better picture quality (although lower image resolution) than RCA's system, but the compatibility problem proved its downfall. An improved RCA/NBC color system submitted in July 1953 became the industry standard chosen by the Federal Communications Commission (FCC) in December 1953. Ironically, cameras using the color wheel system continued to be used for scientific research for several more decades, including the color lunar surface TV cameras during all the 1970s NASA Apollo moon landings. Goldmark also continued his work in developing new LP-related technologies, such as the Highway Hi-Fi, a system designed to play 7-inch LP records in automobiles. After the success of the LP record, Goldmark spent the next two decades at CBS Laboratories working on various inventions, chief of which was EVR, the Electronic Video Recorder. This futuristic home video playback device used reels of film stored in plastic cassettes to electronically store audio and video signals, and was first announced in 1967. A B&W prototype was demonstrated in 1969 (promising color playback in future models), but the invention floundered when it proved to be difficult and costly to manufacture. CBS was also concerned about the potential of competition from home video devices, particularly those that could record — a fear that eventually proved prescient. As with color television, Goldmark's EVR film-based system was superseded by another technology, in this case Sony's U-Matic 3/4" videocassette format in late 1971, since the cassette tape format was cheaper and more effective. However, Goldmark's vinyl long-playing records remained the standard in the music industry until the CD replaced the LP in the late 1980s. Electronic Video Recording, or EVR, was a film-based video recording format developed by Hungarian-born engineer Peter Carl Goldmark at CBS Laboratories in the 1960s. 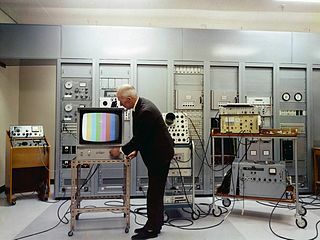 Reitan, Jr., Edward Howrd, "Ed Reitan's Color Television History," https://web.archive.org/web/20071113101332/http://www.novia.net/~ereitan/, retrieved July 1, 2007. Vladimir Kosmich Zworykin was a Russian-born American inventor, engineer, and pioneer of television technology. Educated in Russia and in France, he spent most of his life in the United States. Zworykin invented a television transmitting and receiving system employing cathode ray tubes. He played a role in the practical development of television from the early thirties, including charge storage-type tubes, infrared image tubes and the electron microscope. 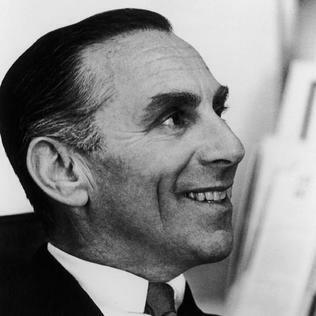 Goddard Lieberson was the president of Columbia Records from 1956 to 1971, and again from 1973 to 1975. He became president of the Recording Industry Association of America in 1964. He was also a composer, and studied with George Frederick McKay, at the University of Washington, Seattle. 1 inch type B VTR is a reel-to-reel analog recording video tape format developed by the Bosch Fernseh division of Bosch in Germany in 1976. The magnetic tape format became the broadcasting standard in continental Europe, but adoption was limited in the United States and United Kingdom, where the Type C videotape VTR was met with greater success. 2-inch quadruplex video tape was the first practical and commercially successful analog recording video tape format. It was developed and released for the broadcast television industry in 1956 by Ampex, an American company based in Redwood City, California. The first videotape recorder using this format was built and created in the same year. This format revolutionized broadcast television operations and television production, since the only recording medium available to the TV industry before then was film used for kinescopes, which was much more costly to utilize and took time to develop at a film laboratory. In addition, kinescope images were usually of obviously inferior quality to the live television broadcast images they recorded, whereas quadruplex videotape preserved almost all the image detail of a live broadcast. Introduced in April 1954, the RCA CT-100 was an early all-electronic consumer color television set in the USA, preceded by the Westinghouse H840CK15 by a few weeks. It has recently come to light that the Westinghouse was preceded by an Admiral which was, in turn, preceded by a Raytheon. However, the key technology for all of these sets was developed at RCA and the CT-100 is considered by most collectors as the "first" color TV. The color picture tube measured 15 inches diagonally. The viewable picture was just 11½ inches wide. The sets were made at RCA's plant in Bloomington, Indiana. The sets cost $1000, half the price of a new low-end automobile. By the end of 1954, RCA released an improved color TV with a 21-inch picture tube. Raymond Davis Kell, most often known as Ray Kell, was a television researcher at RCA. He was awarded the Stuart Ballantine Medal in 1948 for being a pioneer in the development of color television. Sarnoff Corporation, with headquarters in West Windsor Township, New Jersey, though with a Princeton address, was a research and development company specializing in vision, video and semiconductor technology. It was named for David Sarnoff, the longtime leader of RCA and NBC. ↑ György, Marx; Marx; Gy. ; Gy., M.; M., G. "A MARSLAKOK LEGENDAJA". fizikaiszemle.hu. ↑ Wood, Bill (2005). "Apollo TV Essay" (PDF). Apollo Lunar Surface Journal. NASA . Retrieved 2009-10-15. ↑ "The President's National Medal of Science: Recipient Details - NSF - National Science Foundation". www.nsf.gov. ↑ "Eugene Register-Guard - Google News Archive Search". news.google.com.